Looking for ideas how to wear hijab elegantly? 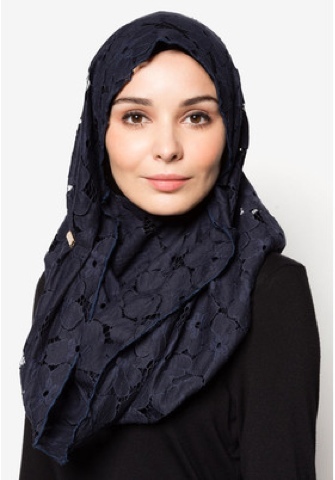 Tips to style hijab for beautiful look? Haaa tidak semestinya apabila kita bertudung/berhijab kita tidak boleh bergaya tau kawan-kawan. Setuju tak? Apa yang penting kenali bentuk muka anda untuk tampil lebih anggun dengan gaya hijab anda. However, muslimah ladies need to know the styles which fit perfectly well with their face shape. The most common face shapes a majority of people have are the round face, oval and heart-shaped. Kalau muka kita jenis bulat kenalah pakai tudung cara yang betul agar tidak kelihatan cubby. For the ladies who have a round face, the best hijab style to flatter your face shape is to loose the sides of your hijab. Show more of your forehead and make your face look narrow on the cheeks. If you wear it too tight, your round face will look chubby and you will definitely not like that. People often make a mistake of hiding your cheeks but it is a wrong move. Keep the scarf loose and comfortable. Lepas ni kena pakai shawl longgar di bahagian muka agar tak nampak cubby lagi. Meanwhile, oval faces are considered to be the best face shape any person could be gifted with at birth. Why? 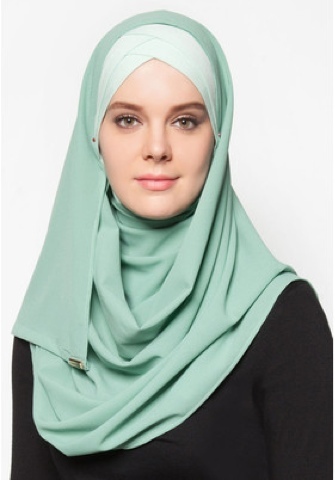 Because you can experiment different hijab styles and still look amazing in any look. Even a Turkish or Pashmina style will appear gorgeous on individuals with oval shaped face. Women who have the symbol of love or known as heart-shaped face should show their best feature by pinning their hijab right under their chin. Do not create layers on the side of your head but remain a simple look. A one simple loop shawl look is one of the best ways to compliment your face shape in a beautiful way. Let see the collection now! Macam sugar scarf ni harganya cuma rm85. Hope you loved to read about hijab styling.. TQ. Saya ni kalau suka satu style dan jenama, memang itu ajelah yang saya beli sampai bosan. Tak kiralah dah habis trend ke apa, saya tetap pakai yang sama!